Have you ever started a diet, workout, or health plan and then abandoned it within a few weeks? If you have, you’re not alone. It’s a common struggle. This is because change is difficult, especially when you are trying to change deep-seated habits. This is largely why health and wellness coaches exist. 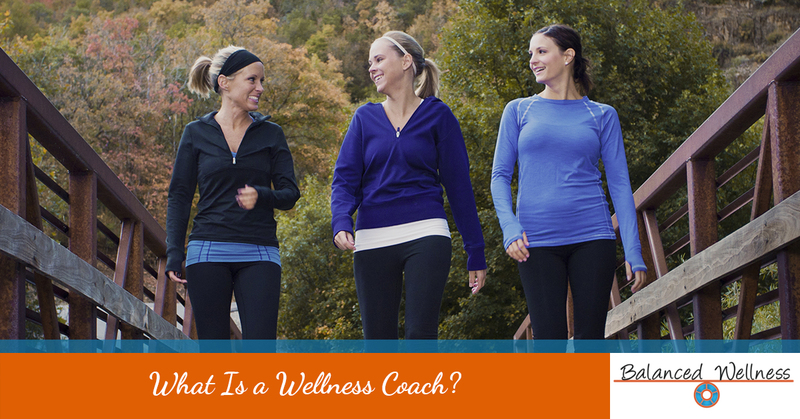 A wellness coach is a health expert who helps people achieve their physical and health goals. They work with you to set goals, identify roadblocks, develop a plan, and help you follow through with the plan so that you can achieve optimal wellness. Learn more about our health coaching, corporate wellness programs, and contact Balanced Wellness today with any questions. Read on to learn more about health and wellness coaching. Who Benefits from Wellness Coaching? Are there significant changes you want to make in your life regarding your health and diet? If so, then a wellness coach is right for you! Whether your goal is to shed pounds, eat better, make exercise a daily part of your life, quit smoking, reduce stress, improve work-life balance, or any combination of these things, wellness coaches can help you reach your goal! Why Do People Choose Wellness Coaching? We all know that the secret to a healthier life is to move more, eat better, and live healthily. However, even though we are surrounded by knowledge and information about good health, implementing these changes and achieving good health is much easier said than done. This is why many people work with a certified health coach. They can help you overcome these obstacles in the most efficient way possible. Perhaps above all else, you want to choose a wellness coach that you trust and one with whom you feel comfortable. You should feel that this person understands your goals, obstacles, and vision, and just as importantly, you want to feel confident that your coach can help you achieve your vision. Total Health Understanding—Your chosen health coach should understand both the physical and psychological parts of losing weight, making changes, and the struggles of implementing change. Excellent Communication—Your health coach should be able to simplify information, communicate clearly, and be able to know how to adjust communication for maximum effect. Support and Accountability—In addition to always looking to encourage and support you, a good health coach will also help you get into the habit of thinking critically about your health, holding you accountable and inspiring you to make healthy choices. At Balanced Wellness, we understand that good health is the foundation of mind and body wellness. We know that before big changes can take place, you must first have a vision in place, something that will keep you moving in the right direction. This is how we begin our health coaching. We begin by creating a picture of your goals and what optimal health looks like for you. Then after getting to know you and what keeps you from accomplishing your goals, we will help develop long-term and short-term goals that will keep you on track. Interested in hiring a certified wellness coach? Whether you are an individual or a company looking to implement a corporate wellness program, we are poised to help! Contact us today to learn more!